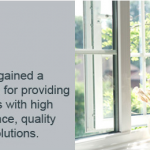 Total Installations – The Complete Fenestration Solution. 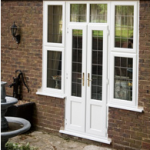 Fabricating Aluminium Doors and Windows. Whether you’re looking for new aluminium windows for your home, or an aesthetically pleasing curtain walling system for a prestige development, you’ve come to the right place. With over 20 years’ experience in the industry, Total Installations offers a complete fenestration solution to discerning homeowners, architects and installers alike. From our 20,000sq ft factory, we manufacture and supply a versatile and extensive range of high-quality aluminium and PVCu products, all of which are custom-made to your exact requirements and tested to ensure that they meet or exceed current industry standards. Feel free to browse our website at your leisure or contact us today by phone on 01252 336614 or via our Contact Form to find out how Total can give your home or development the ‘wow’ factor it deserves.